The Social Security Advisory Committee (SSAC) is an independent statutory body, funded by the Department for Work and Pensions (DWP). It is the UK Government’s advisory body on social security matters. In addition to providing advice and assistance to the Secretary of State, it performs mandatory scrutiny of most secondary legislation laid before Parliament that underpin the welfare system. Thus, much of the Department’s policy and service delivery activity, including the welfare reform agenda, comes before the Committee. stimulate debate of a specific topic within the Committee and amongst stakeholders. The Committee responds to the Department’s public consultation exercises where appropriate, and Ministers may also seek views on specific issues. The Committee may also select issues itself which it wishes to research and report upon. The Chair and Committee members meet regularly with Ministers and senior officials to discuss topical issues and also meet front-line staff and customers in the course of their visits to operational sites. 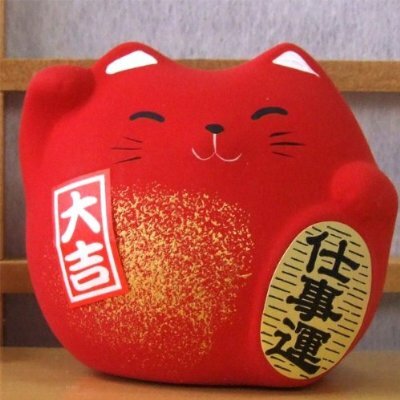 The Committee is independent of Government, the Department and sectional interests. It has a strong track record in offering informed, expert advice. Members come from a variety of backgrounds, but collectively they have a considerable depth of knowledge and expertise in social security policy, law and the wider social policy agenda. Represent the Committee at external events on occasion. SSAC meets ten times every year at Caxton House, Tothill Street, London, SW1H 9NA. Members also have an opportunity to visit other locations, for example visits to operational sites. the ability to deal appropriately with confidential material shared with the Committee, and manage potential conflicts of interest (or perceived conflicts of interest) in a responsible manner. Current and detailed insight of issues relating to the benefits system in Scotland, including those aspects that have been devolved to the Scottish Government and able to represent credibly a wide range of communities and stakeholders in Scotland. Expertise in addressing the challenges of effective communication with large and diverse customer groups and/or the media. In-depth knowledge of the experience of different groups of claimants, especially those who may face particular disadvantage. A CV (maximum 2-3 pages) with your education and professional qualifications and full employment history. An accompanying Supporting Letter (maximum 2 pages) – this is your opportunity to demonstrate how you meet each of the criteria. You should aim to provide specific examples that demonstrate how your knowledge and experience matches each of the criteria, and which describe what your role was in achieving a specific result. Please ensure your full name, the post for which you are applying and the corresponding reference number for the post are clearly noted at the top of your letter. Please ensure your full name and the post for which you are applying is clearly stated at the top of your CV and Supporting Letter. Personal Information Form. Most of the information requested is not seen by the panel assessing your application (though the panel will consider any declaration of interests). Diversity Monitoring Form. Collecting and analysing candidate data will help us improve our diversity strategy. It will allow us to run more successful recruitment exercises in the future and ensure that competitions are fair for all. This form is not part of the selection process and will be treated in strictest confidence. It will be kept separate from your application and not be seen by the selection panel. If relevant, please also submit a completed Guaranteed Interview Scheme Form if applying under this scheme. If you have a disability and require reasonable adjustments to enable you to attend for interview, please advise us when you return your application. Please email your application to: alb.publicappointments@dwp.gov.uk. Carmela Keogh, ALB Public Appointments Team, Department for Work and Pensions | Private Pensions and Stewardship | 1st Floor, Caxton House | Tothill Street | SW1H 9NA. If you have any difficulty in sending your application or need the application pack in an alternative format (e.g. Braille, large print, audio CD, tape or e-text), please contact the ALB Public Appointments Team on 0207 7449 7181 or 020 7449 7437. Remuneration: The post-holders will receive part-time pay at the rate of £20,000 per annum. Reasonable travel and subsistence expenses will be reimbursed. Time Requirements: Board meetings take place 10-11 times a year in London and are a commitment of roughly 1.5 days each plus preparation time. 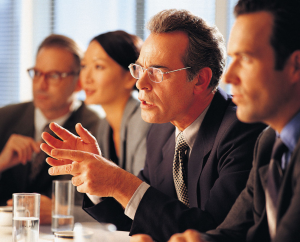 Board members are also encouraged to sit on the authority committees which require an additional four 2-4 hour meetings a year, and to contribute informally as appropriate. GEMA is the Governing Body of the Office of Gas and Electricity Markets (Ofgem), a non-ministerial department and an independent National Regulatory Authority. GEMA’s powers are provided by inter alia the Gas Act 1986, Electricity Act 1989 and the Utilities Act 2000. 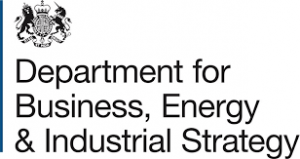 Following the recent appointments to the Ofgem board, the Department for Business, Energy and Industrial Strategy is seeking to recruit a further two Non-Executive board members (NED) with an accountancy and digital transformation background respectively. NEDs bring independent oversight, support and constructive challenge to Ofgem. GEMA makes decisions on major regulatory issues and NEDs will be expected to contribute to these collective decisions. The NEDs may also be involved in working groups or offer advice and support to individual directors, in addition to ad hoc pieces of work across Ofgem. Candidates should be able to demonstrate good judgement and high levels of integrity. All candidates will need to demonstrate expertise in governance and active risk management at a strategic level. Knowledge of information technology developments, in particular the delivery of digital services to customers and data utilisation in data-rich organisations. Applications that do not contain all of the above elements may not be progressed. Your application should make clear which of the two roles you are applying for. Given the differing criteria, it is unlikely that any one candidate will be able to meet all of the essential criteria for both roles. This will assist BEIS in monitoring selection decisions to assess whether equality of opportunity is being achieved. Any information collated from the diversity monitoring forms will not be used as part of the selection process and will be treated as strictly confidential.